Hello everyone! This summer has been a busy, but exciting one for me. 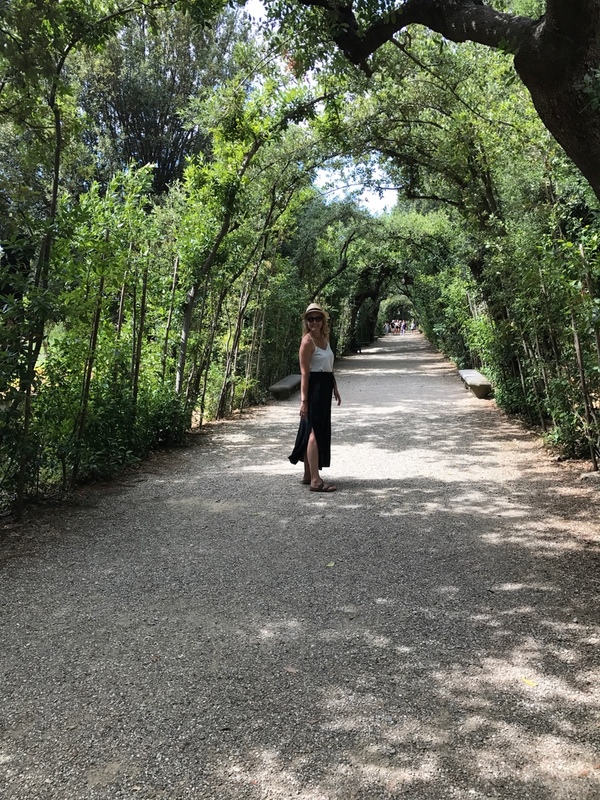 Unfortunately, my summer vacation is ending shortly but that means that my dietetic internship starts soon and I am very excited for that! 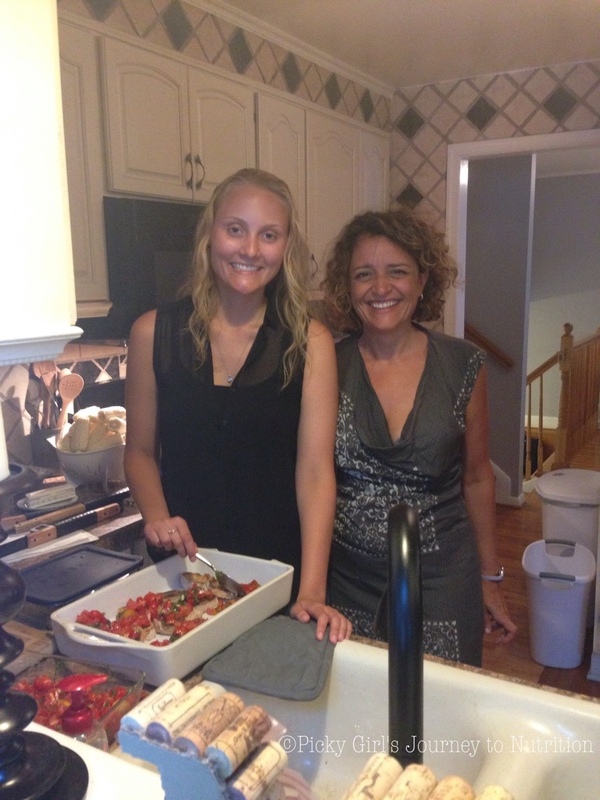 One of my favorite new recipes that I learned this summer was Bruschetta from my new Italian friend! She taught me how to make it the other night and it was too amazing not to share with you! 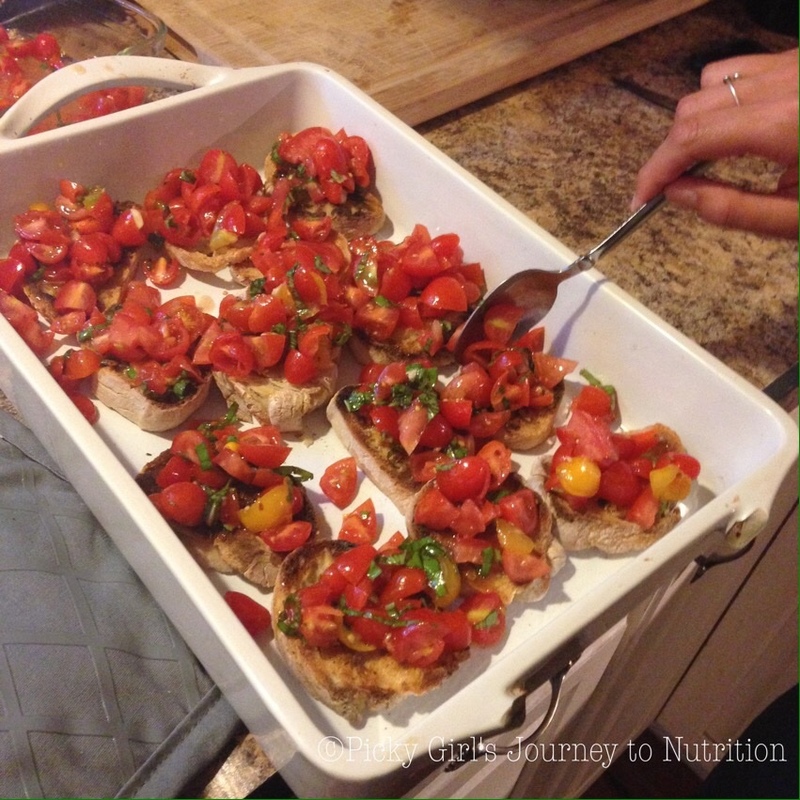 It is also super easy, quick, and a great way to use some of those tomatoes that are growing in your garden! **The ingredients are very flexible, add how ever much you want of each to this recipe. It is very easy to make it your own! Add into a medium sized bowl: sliced tomatoes, 2 garlic cloves, a sprinkle of salt, olive oil, chopped basil, and a sprinkle of red chili pepper flakes. Mix throughly. Slice bread and place on baking sheet. Bake in oven until lightly golden brown (watch closely so it doesn’t burn). When bread is finished, rub last garlic clove on the tops of each slice. Scoop about 2 spoonfuls of tomato mixture on each slice. Drizzle the remaining juices from the bowl over the slices. Looks yummy.. cant wait to try it. 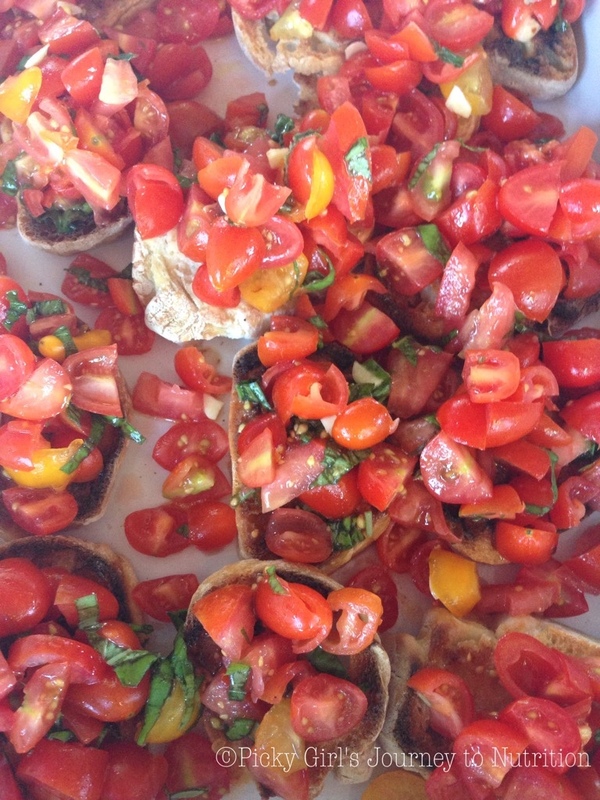 I watched a chef in a restaurant in Rome make bruschetta. Basically same as you but he brushed bread slices with olive oil before putting them in a large brick oven to toast before adding the tomatoes etc. This really makes my mouth water. I will make this soon for a gathering of friends and neighbors. I believe I had it once with chopped avocado mixed in. We are trying this tonight!! 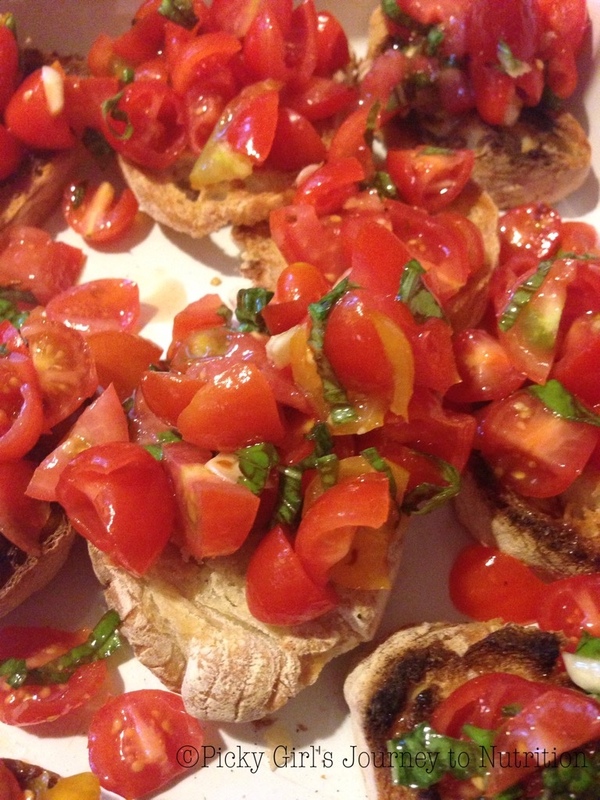 We have so many cherry tomatoes, this is a great, fresh recipe. Thanks for sharing!!! My Aunt was cooking on her smoker last Saturday and this dish was our appetizer. Very light and refreshing! This is on my list to make at home.